American journalist Jason Rezaian has been sentenced to an unspecified prison term in Iran, the country’s judiciary has said. The sentence follows the Washington Post reporter’s conviction last month on charges that include espionage. Iranian officials did not give details about the sentence but said in a statement it included jail time. Jason Rezaian, 39, has been detained in Iran for more than a year. The Post has dismissed the charges as absurd. “In brief, it is a prison sentence,” judiciary spokesman Gholamhossein Mohseni Ejei said in a statement on Iranian state TV. Gholamhossein Mohseni Ejei added that the verdict is “not finalized” – referring to an expected appeal. Jason Rezaian’s lawyer, Leila Ahsan, told the Associated Press news agency she had not been informed of the verdict or the details of the sentence. 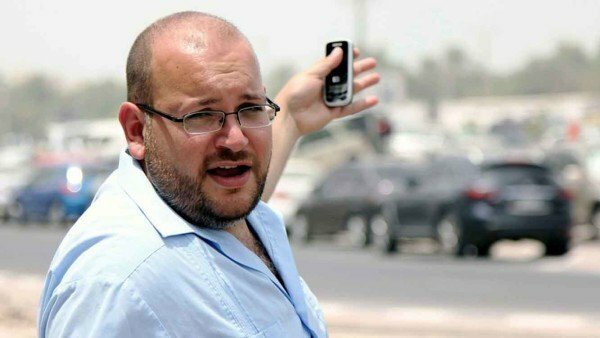 The foreign editor of the Washington Post, Douglas Jehl, said in a statement that Jason Rezaian’s “trial and sentence are a sham, and he should be released immediately”. He added that the journalist had already spent 487 days in prison. Jason Rezaian, his wife, who is also a journalist, and two photojournalists were arrested in July 2014 in Iran. Jason Rezaian was the only one of the group not to be released. The Washington Post‘s Tehran bureau chief since 2012, Jason Rezaian was charged with espionage and distributing propaganda against the Islamic Republic. Jason Rezaian is a dual Iranian-American citizen and was tried in four hearings behind closed doors. He was convicted in October. Earlier reports said Jason Rezaian could face 10 to 20 years in prison.